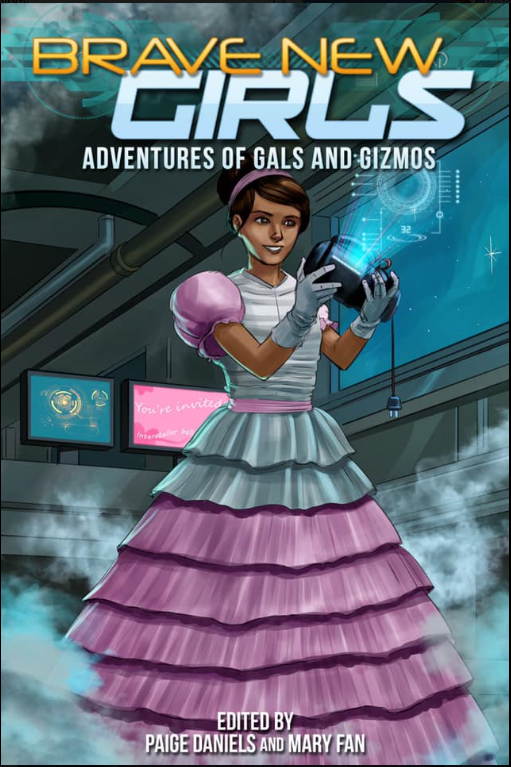 As posted last month: Kris Katzen’s “Jupiter Jeopardy” will appear in Adventures of Gals and Gizmos, the fourth volume of the wonderful, delightful Brave New Girls anthologies. The stories show girls at their science-geek best, solving problems and averting crises. To further support girls who choose STEM careers, proceeds are donated quarterly to the Society of Women Engineers Scholarship Fund. Volume 4 will be released this July. Visit their home page for a list of the stories and authors. This entry was posted in Kris Katzen, News and tagged Anthology, Kris Katzen, science fiction, Short Story. Bookmark the permalink.